The final part of this series on Hennersdorf presents the two after action reports. The first was completed by the Austrian commander, Prinz Schwarzenberg and was submitted to Francis II, Holy Roman Emperor. The second was completed by the Russian commander Barclay de Tolly, and was submitted to Tsar Alexander I. Each tells the truth according to their repective generals. Being a summary of our most recent battle at Hennersdorf, 21st August 1813 . From Prinz Schwarzenberg, Commander of the Austrian Armee in Saxony, by order of His Imperial and Royal Apostolic Majesty, the Emperor of Austria. Animated by the collapse of the recent armistice the Austrian forces advanced with alacrity towards the town of Hannersdorf. Considerably outpacing the movement of our Russian and Prussian allies, elements of our Advanced Guard occupied the town of Hennersdorf at 8:30 am on Saturday morning. I Corp under the direct command of Graf H. Colloredo accomplished this feat in the face of a considerable cavalry screen under the command of Napoleon himself. A spirited action by the Light Division of I Corp on the hill to the south-west of Hennersdorf stalled the further advance of the Corsican in our sector, routing the French 3rd Infantry Division and a supporting Cavalry division threatening the road running north-west into the town. On the left flank screening troops of the III Corp under the overall command of Graf Keinmayer advanced rapidly along the local roads to locate and block the advance of French columns under Ney. Whilst engaged in blocking the enemy light cavalry screen an entire French infantry division previously hidden from view beyond a tree lined river appeared on the flank of our forces. As directed by the orders Czar Alexander had issued on Friday, III Corp then deployed to defend the Line of Communications from the Austrian border through to Hennersdorf; Garrisoning Apfeldorf, the forests to the south-west and the bridge across the local river. The Grenzers held the bridge to the west of Apfeldorf for several hours and, with supporting artillery, gave Ney’s lead Infantry Division a severe mauling. To such an extent that the 5th French Brigade was destroyed whilst the remainder of the Division withdrew and played no further part in the battle. Around 11am the French launched an assault in Division strength against the garrison occupying Hannersdrof, comprised of IR#17. The assault was thrown back with such stout vigor that the town was not seriously threaten again until late in the day. The garrison continued to support the heavy fighting by our Russian Allies as they strove to establish a defensive line to the north and north-east of Hennersdorf during the afternoon. French troops, under Ney, continued to push forward on the left flank and, supported by strong artillery reserves, they eventually forced the Grenzers back from the banks of the Bieber river. The strongly positioned regular Austrian Infantry deterred the further advance of French right for several hours. Well supplied Austrian Corp artillery formations played extensively on the French infantry and undoubtedly had the best of the sustained counterbattery engagement that developed over the course of the afternoon. From 3 pm French troops again closed with Hennersdorf and began a more concerted attempt to capture the town. Aggressive positioning of the lines of circumvallation allowed effective musketry and counter battery fire from the brigade occupying the town. The French fire proved ineffective and eventually Napoleon ordered a more distant placement of the supporting forces. Prisoners reported having overheard Napoleon muttering about “that whore in Paris”. Such slander against the Austrian Crown Princess Marie Louise has caused much indignation but is perhaps to be expected from the Corsican Ogre. Around 5 pm, as the afternoon drew to a close, the build up of Ney’s forces prompted a more concerted move by the French towards Apfeldorf. Two French Divisions moved across the river, with those to the south of the main road bridge struggling to cross the marshy banks of the river. A concerted counter-attack by the Austrian infantry supported by attached artillery batteries eliminated the threat of the French Infantry but left the battalion masses somewhat exposed to the following French Hussars. In an extra-ordinary display of courage Ney led forward his cavalry reserve in a desperate last attempt to secure the crossing. The attack was repulsed and Ney was last seen being assisted off the field of battle. Having held and repulsed the full weight of the French right flank, III Corp moved over to renewed offensive action for the remaining hours of daylight. Aggressive action ensured the capture of the remaining artillery isolated on the eastern bank of the river. Disorder resulting from the crossing the stream in the region of the bridge on the road to Apfeldorf meant the attack along the western bank was repulsed. This was more than balanced by the splendidly coordinated attack by the rest of III Corp. The attack wiped out an entire Leger Regiment and drove the rest of the French back in disorder. As dusk fell the Westphalian Division holding the French line immediately south-west of Hennersdorf was observed to finally crack under the sustained bombardment that had been directed at them over the late afternoon. We expect that they will withdraw during the night. The town of Hennersdorf is securely in Austrian hands and the line of communications to the town is secure. The main Austrian forces under my command remain well organized and will be ready to continue their advance early tomorrow morning. The cavalry will require another day to recover and re-organize before once again picking up the pace of our advance. The way forward to the France homeland is open. I have the honour to be, in this enterprise, your servant, Prinz Schwarzenberg. A report of the glourious action at Hennersdorf on the 21st August 1813 submitted by Prince Mikhail Barklay de Tolly to Tsar Aleksandr I of all the Russia’s. Your Majesty, I have the honour to lead our forces to Battle this day fighting against the French usurper Napoleon Bonaparte. Our advance was slow with our allies claiming all of the better roads leaving impoverished cart tracks for our troops to make the battlefield. Despite all obstacles our glorious troops arrived and took up position in the centre facing off with General Bonaparte himself and his guard. 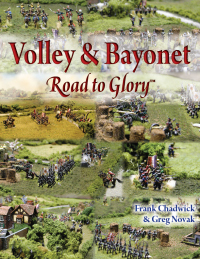 General Gortchakoff led his infantry forward in an early assault upon the French line deployed against Hennesdorf in support of our Austrian allies. The attack while confident was outnumbered, with our troops having to defend themselves against determined attacks by French Infantry and massed Heavy cavalry formations. This attack was beaten back by superior forces arrayed against them. Further Infantry supported by artillery were fed into the line supported by our Cavalry. At this time General Tschaplitz Light Cavalry Division displayed great elan by attacking the French Cavalry assaulting the Prussians to our right saving the Prussian allies only to defeat the French formation only to be attacked by overwhelming numbers of French Heavy Cavalry. Our forces fought bravely to be repulsed bloodily. They fell back to regroup. The French through a further attack upon our infantry line with yet more Heavy Cavalry. General Kretov counter attacked with his Heavy Cavalry Division engaging the French to the front in a victorious encounter throwing back the enemy cavalry with the support of infantry musketry on their flank. At this point our line was formed again to bombard the French infantry with our heavy guns inflicting damage upon our enemies. This provoked further assaults by the French Heavy Cavalry supported by Lancers. While receiving damage upon our artillery to these continued attacks we inflicted serious damage to the Lancers which were scattered while the enemy Cuirassier were forced back. It was noted that the usurper Napoleon advanced personally to see the action, we were unable to capture with his continual attacks by the Heavy Cavalry. It seemed that the enemy Cavalry formations were unending as were their attacks upon our line. We met them the same old way and defeated them the same old way. Our formations were under constant pressure taking casualties but we held our line as instructed by your Majesty. General Karpov’s gallant Light Cavalry forces were sent South around the Prussian flank supported by our Prussian allies were we thrust aside all care and consideration taking Murat’s line of communications and moving on to take General Bonaparte’s communication if the Prussian’s hadn’t got in our road successfully fending off attacks on the way vastly outnumbered by the French to achieve the unsurpassed success. It was heard to be said “why would you want such forces” but this glorious manoeuvre will rebut such comments. The day ended with the Russian forces holding their ground and the usurper’s forces retreating south. It will take a day or two to recover our composure but we will fight again. I am writing to report a victory your Majesty by our glorious forces over the usurpers invading forces this day. Your obedient servant Prince Mikhail Barklay de Tolly.